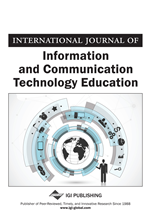 The use of information technology to enhance classroom learning and deliver corporate training is the latest trend and focus of much research in the computer-mediated communication (CMC) and development industry. Technological advances continue to alter the various ways in which academic and organizational training is facilitated and conducted. This paper presents a review of the available literature and trends in CMC, specifically, CMC’s theoretical approaches, types/roles, benefits/disadvantages, and contributions to academic institutions and corporate organizations. The authors also provide a discussion of future trends and implications in this subject. The use of computer-mediated communication (CMC) to enhance training in higher educational institutions and corporate organizations is the latest trend and focus of much research in the information technology and development industry. Researchers (Welsh, Wanberg, Brown, & Simmering, 2003) and practitioners (Olaniran, 2006, 2009; Wheeler, Byrne, & Deri, 2003) agree that technological advances continue to alter and redefine the various ways learning and training is facilitated and conducted. CMC is a frequently utilized ICT system that “consists of electronically-mediated communication systems (i.e., e-mail, instant messengers, computer conferencing, and video-conferencing) that facilitate communication interaction among people” (Olaniran, 2006, p. 210). Although there are various estimates for growth in all aspects of CMC, it is apparent that academic institutions and corporate organizations will continue to increase the use of CMC in order to facilitate and deliver education and training. The aspect of quick access to information and knowledge without the constraints of time or geographic barriers makes CMC—along with its integrated learning environments, particularly eLearning—a highly valuable tool for higher education, as well as training in today’s corporate work force (Olaniran, 1993). As eLearning is strategically designed with implemented training programs, the system allows for acquisition of “the knowledge and skills needed to integrate sustainable practices into [our] day-to-day work,” and lives (Wheeler et al., 2003, p. 96). According to Olaniran (1993), CMC is used as a “tele-meeting in which a computer serves as a ‘meeting place’ for participants” (p. 37). As organizations go global and maintain presence in geographically dispersed locations, training employees via CMC becomes essential. As a tool for gaining and providing necessary knowledge and skills, instructors can combine CMC tools with classroom applications to enhance, deliver, and facilitate training. Various research studies and articles continue to emerge to satisfy educational and organizational practices, such as the design, implementation, and use of CMC systems. This paper draws upon the available literature to provide a concise account of the role of CMC infrastructures and the nature of use within higher education and corporate organizations. Thus, a discussion of the following topics follows: (a) mainstream theories and approaches in CMC; (b) the role of different CMC infrastructures; and, (c) implications and future trends.